One of a series of boxes that Meredith Annett is creating. 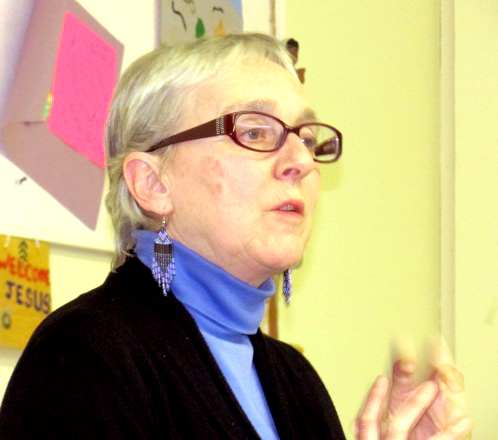 Merdith Annett stopped by the March 28 meeting to share her perspectives on finding and nurturing inspiration. 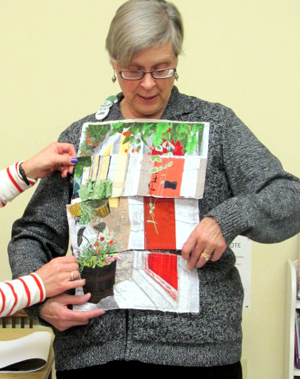 Meredith, an award winning quilter and member of the Mayflower Guild, believes we all have a need to make things and owe it to ourselves to get great enjoyment out of creating. 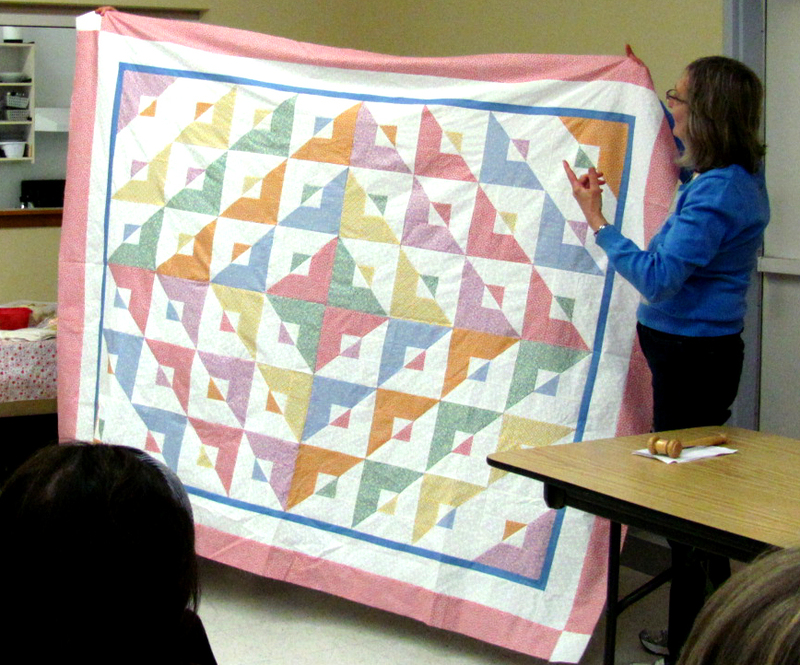 At the last meeting in February, Jennifer T-Z shared her knowledge about Modern quilting with a fantastic slide show. 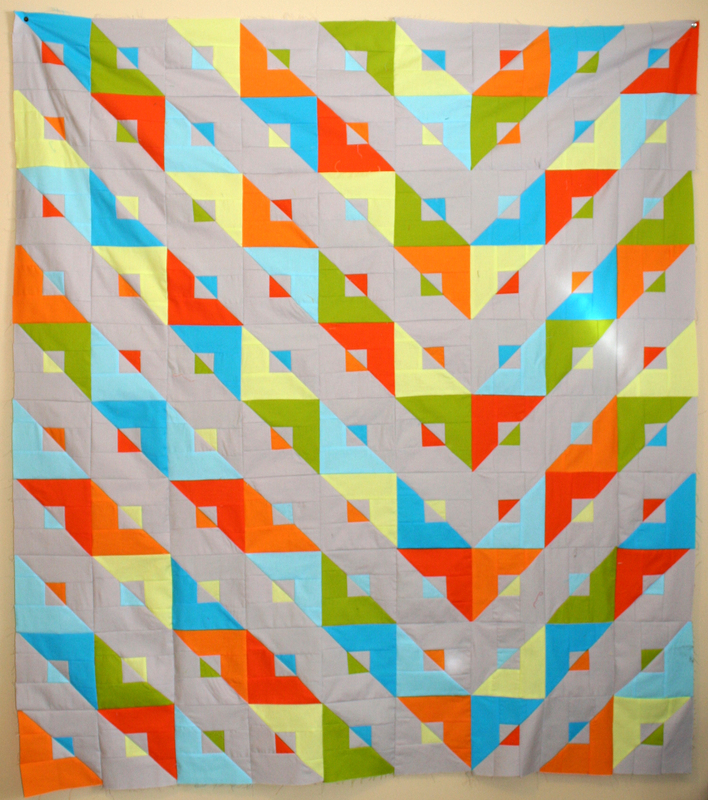 Jennifer told us that while modern quilting has much in common with traditional quilting, it has a slightly different design aesthetic involving technique, style and colour. 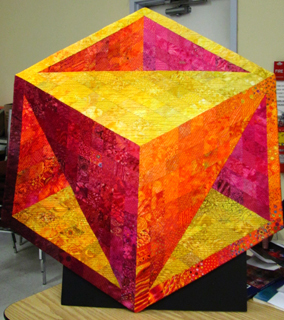 Its beginnings owe a lot to the Gee’s Bend quilt exhibit in 2002 and the books of modern quilters like Denys Schmidt.